Updated Sunday May 8, 2016 by Brian DeMurley. 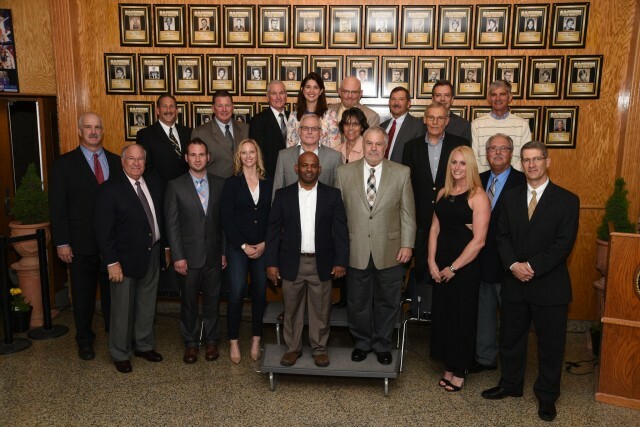 The Sachem Central School District is proud to announce this year’s Sachem Athletic Hall of Fame induction class, which were recognized during a ceremony at Sachem High School North this past Saturday, May 7. There were 24 inductees this year and this marks just the second Athletic Hall of Fame induction in Sachem history. The first took place in 2003. The actual Hall of Fame is located in the gymnasium lobby at Sachem North. Inductees were chosen by a selection committee based on a number of criteria, including athletic success during their careers at Sachem, either as a player, coach or supporter. This year’s list of inductees includes some of the most historic names in our district’s vast sporting history. From Olympic athletes to iconic coaches to some of the best individual and award-winning athletes in Sachem history, this class is legendary.